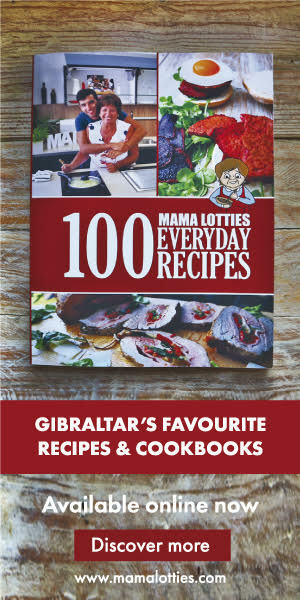 Mama Lotties’ Gibraltar Inspired Cookbook – Now on Sale! The book contains short introductions to recipes, clear ingredients and methods and is full of images to help keep Gibraltar’s recipes alive. Thank you everyone for all your help and support. Don’t miss out, go check it out and let me know what you think! …And if you’re visiting Gibraltar and forgot to get one, don’t worry you can grab one at the departure lounge of The Gibraltar International Airport.